Presenting our ABS-Lock X-Rivet anchorage point in moving images: Watch our short product video to find out more about its most important features! 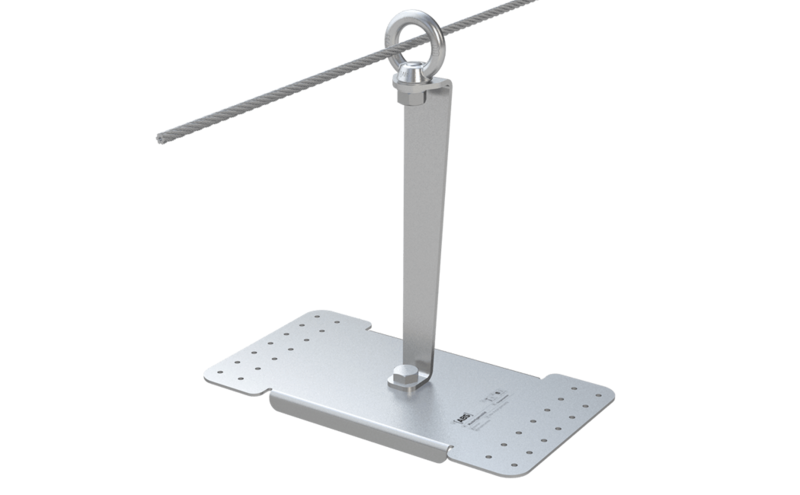 This stainless anchorage point can be installed on a range of different seams and is available in two models. Simply install this anchorage device from above using the stainless steel blind rivets provided. We also supply models for usage as an intermediate bracket or T-junction in a lifeline system. Our ABS-Lock X-Rivet anchor is a real winner on a sandwich roof due to its extremely practical installation design: This anchorage device is simply riveted on top of your roof membrane using 14 watertight blind rivets. The real advantage: You do not have to peel the insulation material underneath the metal surface away before installing it (as you do with a toggle bolt solution). This stainless steel anchorage point is suitable for sandwich and trapezoidal sheeting (negative). 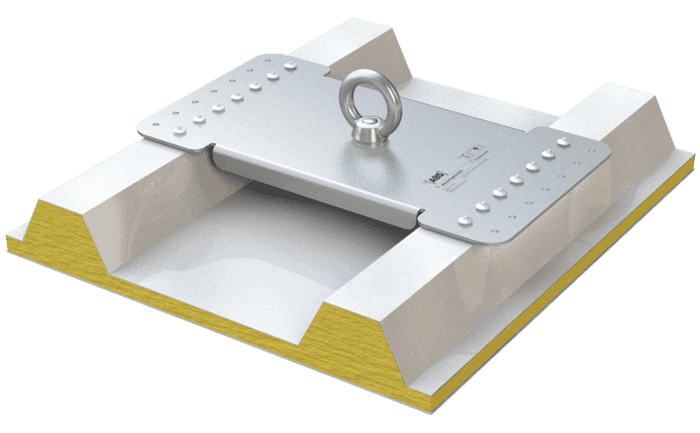 The 2 differnet base plates can be used for different seam intervals. 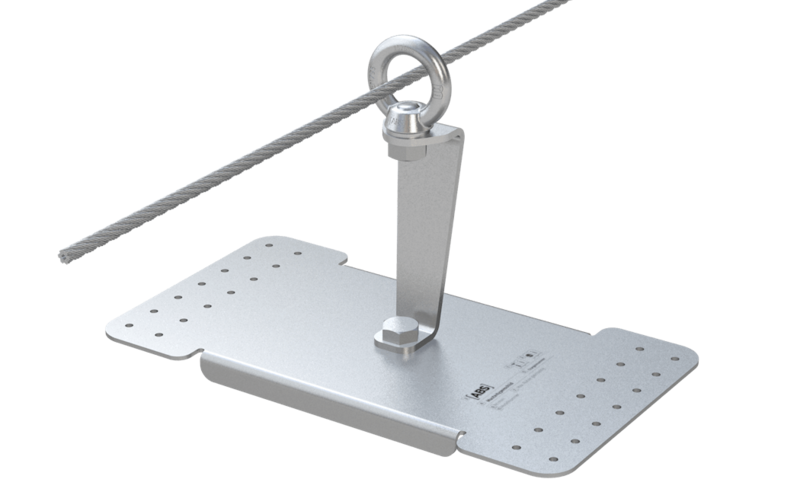 Implemented as a single anchorage point, our ABS-Lock X-Rivet can secure up to 3 roof workers. You can just as easily incorporate it into your lifeline system as an intermediate bracket, corner bracket or end attachment. 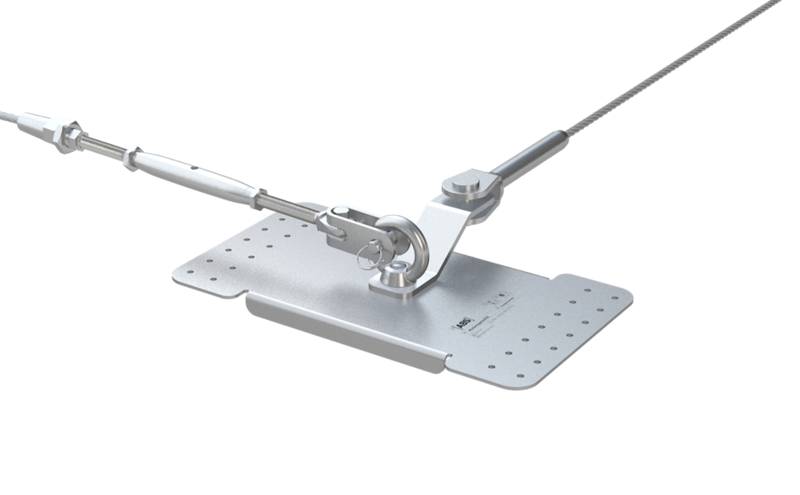 For such cases, we offer two additional models which are equipped with an extra intermediate bracket (pls. refer to our product photos). There are 2 sizes to choose from: 150 mm and 350 mm. Do you need assistance with planning your lifeline solution for a roof made of sandwich or trapezoidal sheeting? We would be pleased to help you design the perfect concept. Simply contact our Team of experienced consultants.